We are but two short months away from Spinzilla, (Oct 5-11), To help you prepare, here is a list of must-have equipment for you and your team! Order early so you’re ready to go by Spin Day! Though this may be obvious, there is a different wheel/spindle for the type of spinning you want to do. Check out this blog by Denise on how she chooses a spinning wheel depending on what she wants to spin. These are all common questions and phrases that we hear when we spin–especially during Spinzilla. Visit your local Schacht dealer and pick up a bottle or two and keep them on hand. While you are at it, check out this video on the proper oiling techniques for your Schacht wheels. Whether you get the on-board lazy kate for your Ladybug, or the Tensioned Lazy Kate, it is imperative that you have proper yarn management. A lazy kate is perfect for plying, or just holding yarn as you let your singles rest. We only have so many spinning wheel bobbins available to us, and when we are spinning the large quantities of yarn that we do for Spinzilla, those bobbins fill up fast! To get around this, order more bobbins for your wheel, or use this tip to maximize the use of your bobbins. Transfer your yarn onto cardboard spools or 6″ plastic bobbins to free up those spinning wheel bobbins for more spinning! Whether you’re spinning Bulky, plying massive amounts of yarn, or need a large bobbin for storage, a Bulky Package for your wheel is a must have! 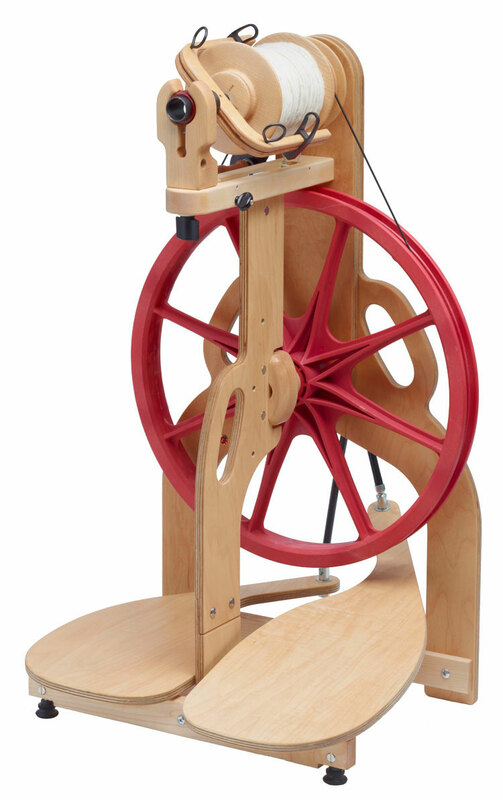 The sliding hook and large capacity bobbin is also helpful when spinning art yarns! Note: In helping you prepare for Spinzilla, we are offering in the month of August, the Ladybug, DT Matchless, and Sidekick with a Bulky set up. Whether you are a weaver or a spinner, bobbin winders are such a great help in the studio space. 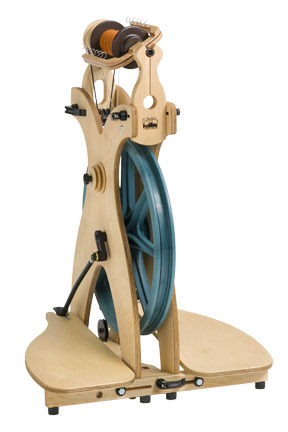 Transferring yarn from one bobbin or spool to another is much easier with a bobbin winder. The single ended winder is great for plastic bobbins, but the double ended winders are great for spinning wheel bobbins and cardboard spools. Upgrade to an electric bobbin winder to save your energy–and time–during Spinzilla. This is THE TOOL for Spinzilla! With an optional rotation counter, this swift will make counting yardage a snap! We used our Ultra for our team last year, and it sped up our measuring process significantly! Check out our video on all of the other cool features that the Ultra Umbrella Swift has to offer!